Red Car Trolley Attraction at Disney California Adventure, opening on June 15, 2012. 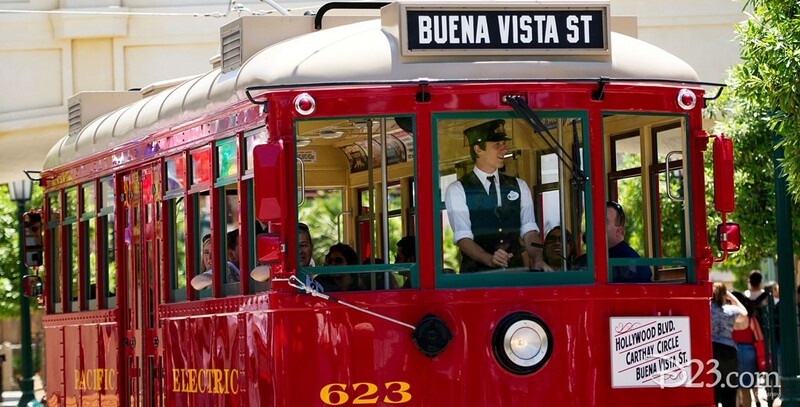 Guests ride down Buena Vista Street and into Hollywood Land in one of two trolleys modeled after those of the historic Pacific Electric Railway system which operated in Southern California from 1901 to 1961. Each seats 20, and is battery-powered (the catenary lines—above-vehicle electric cabling—are only for show).